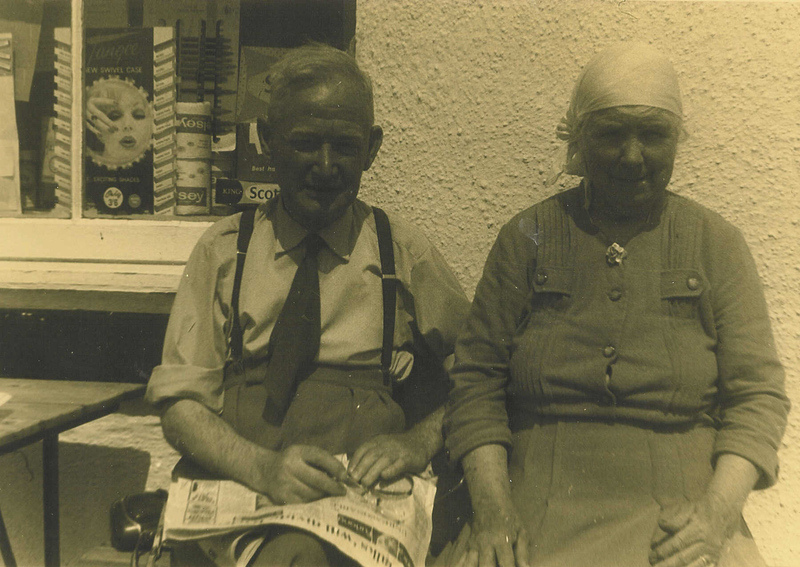 Black and white photograph of Dolly MacCallum with a visitor outside her café in Crossapol around 1960. Dolly MacCallum outside her café at Viewfield, Crossapol with a visitor around 1960. Dolina MacCallum with a visitor outside her café at Viewfield, Crossapol. Dolly, as she was known, opened `The Café` in the 1950`s and sold sweets, lemonade and ice creams. Here best customers were folk heading for the airport.